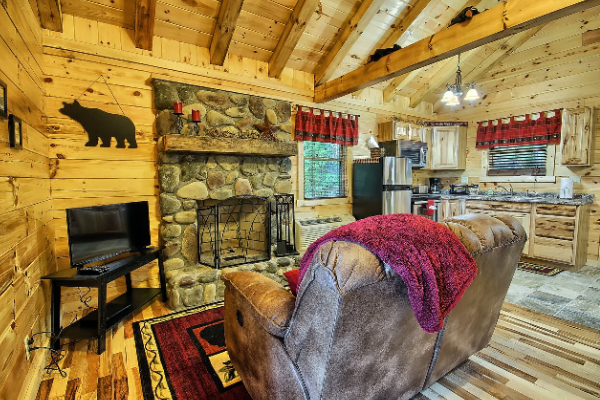 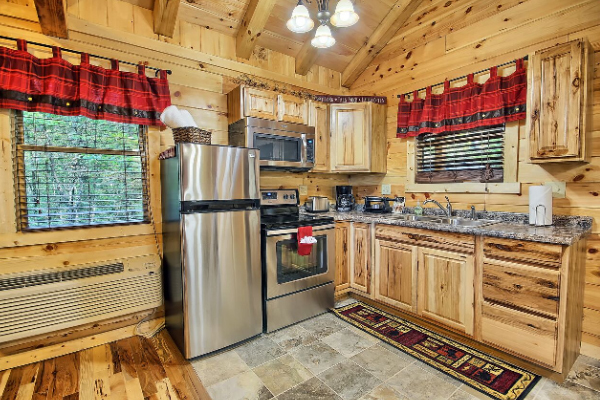 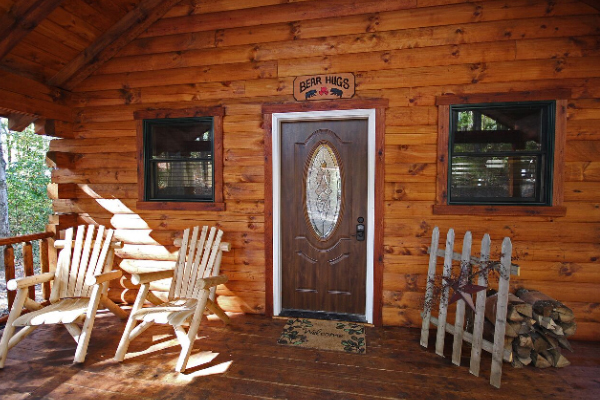 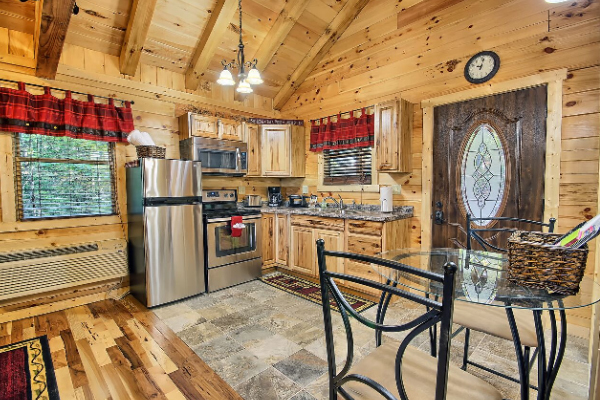 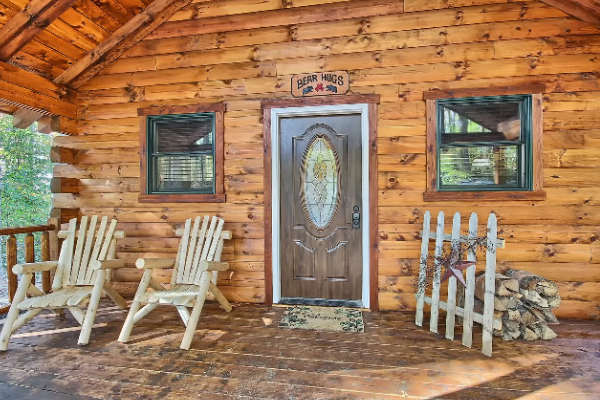 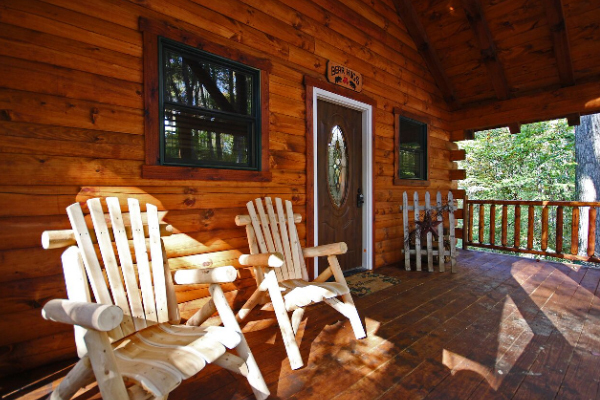 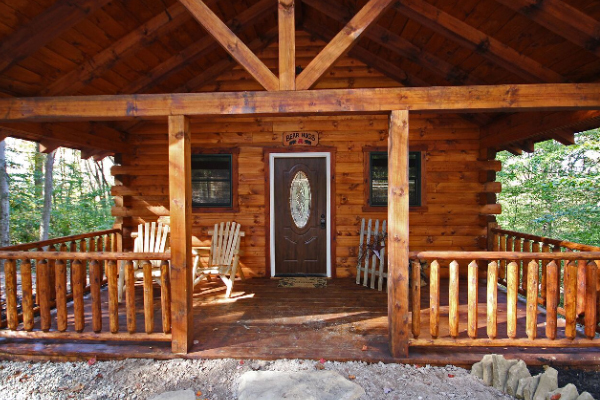 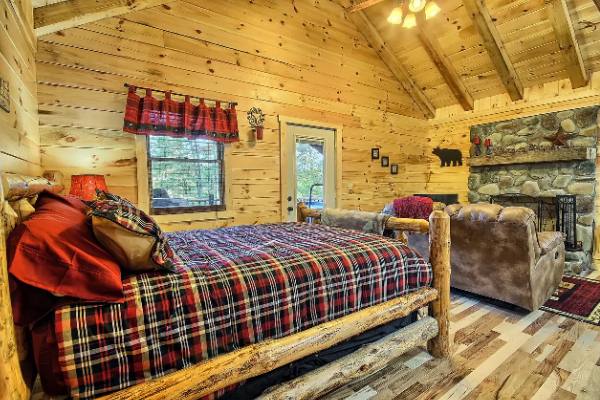 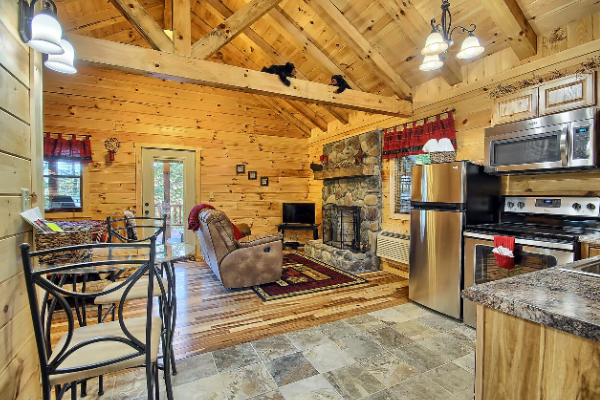 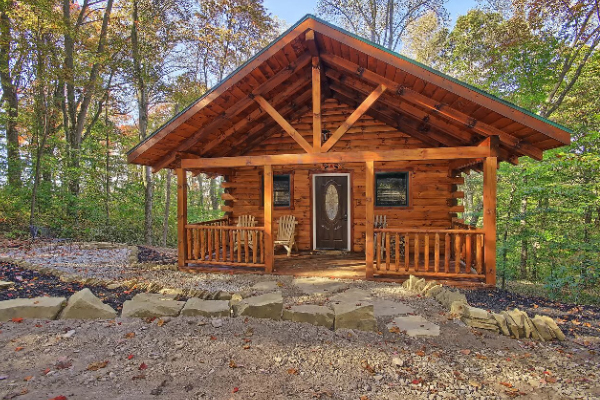 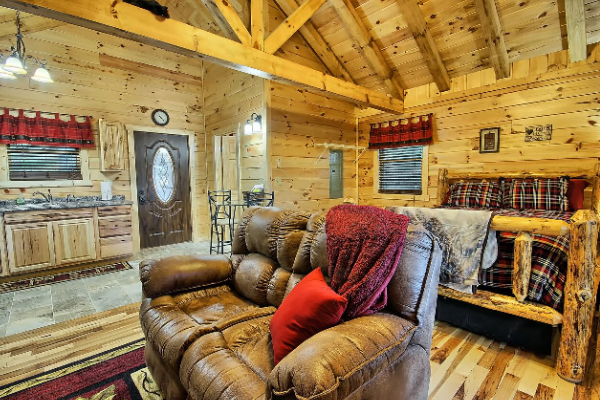 Bear Hugs is that cabin you've been looking for! 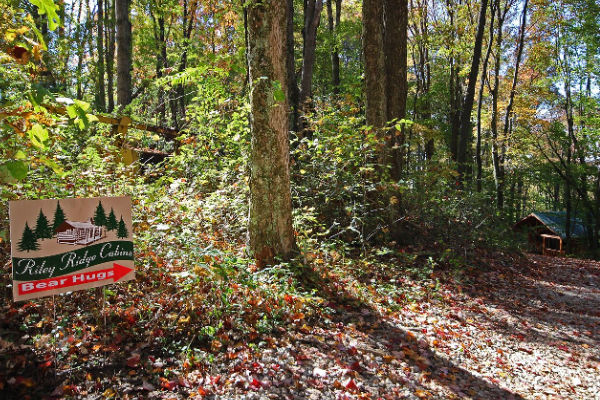 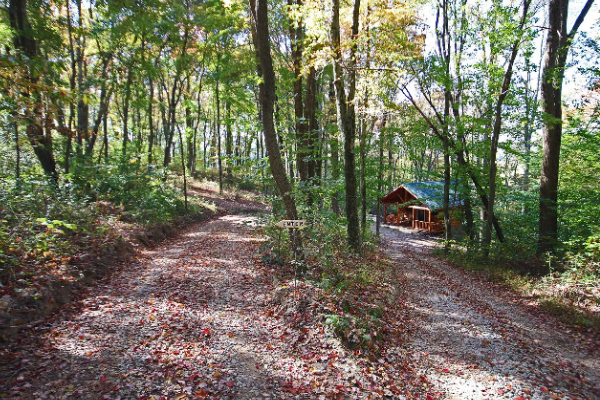 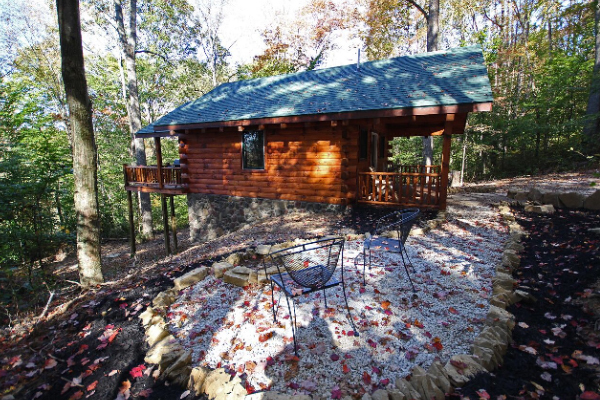 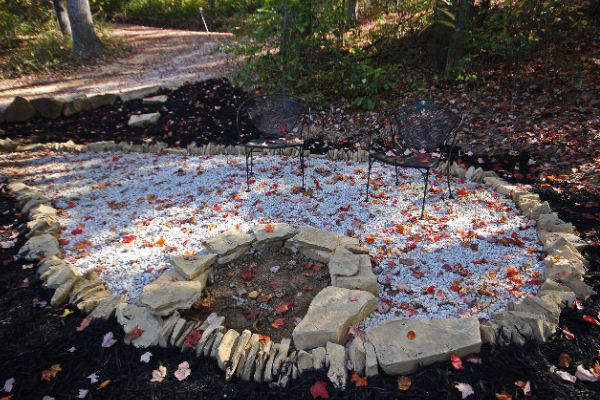 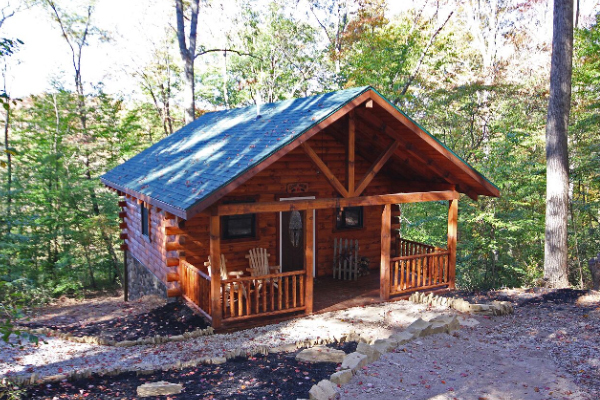 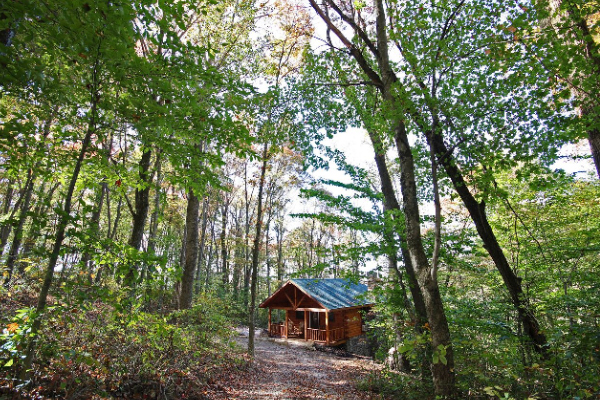 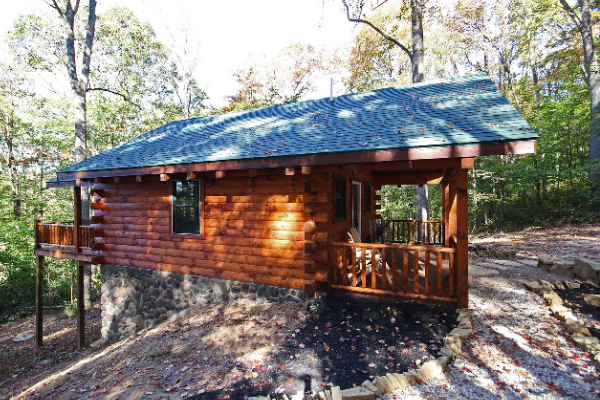 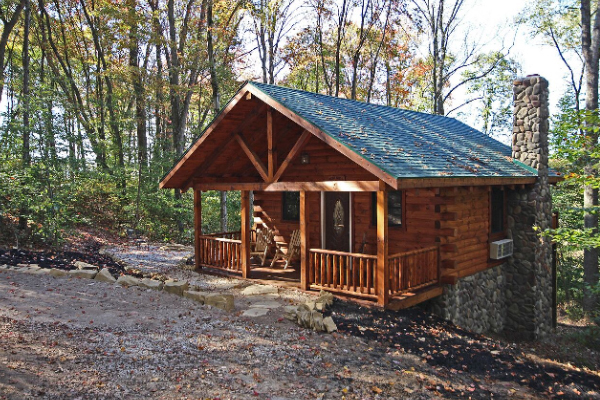 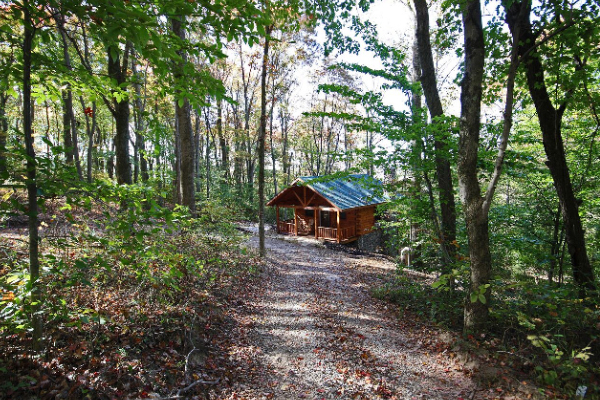 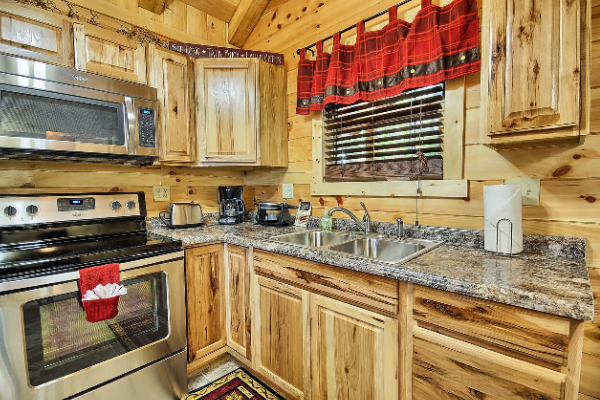 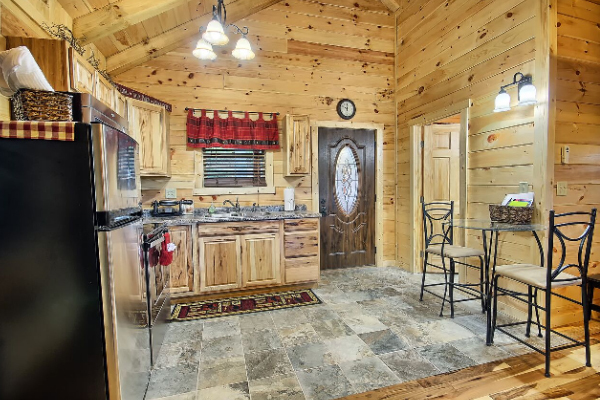 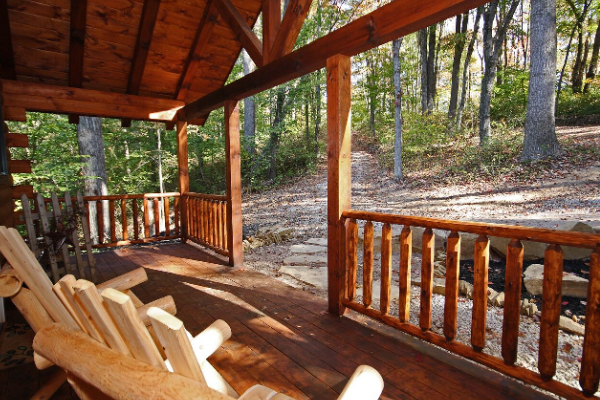 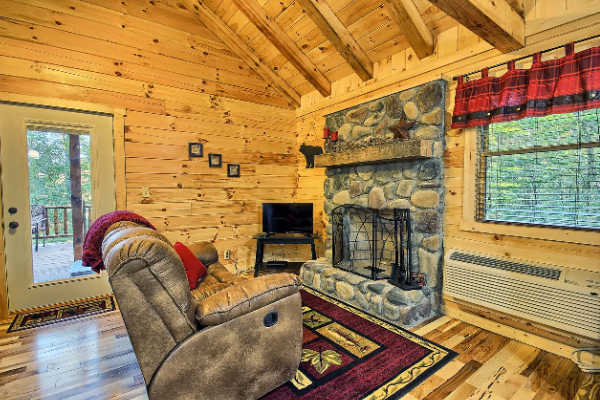 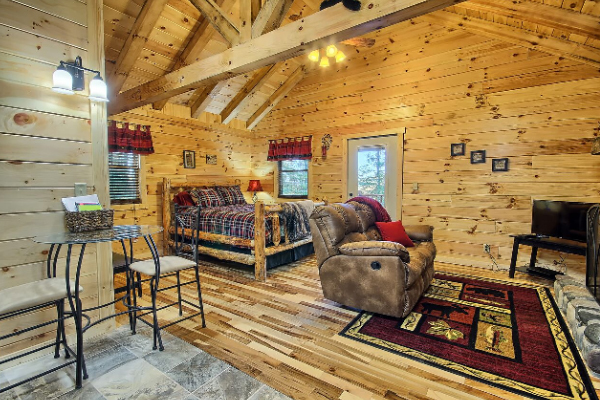 BRAND NEW, secluded, one room cabin is perfect for that getaway for just the 2 of you! 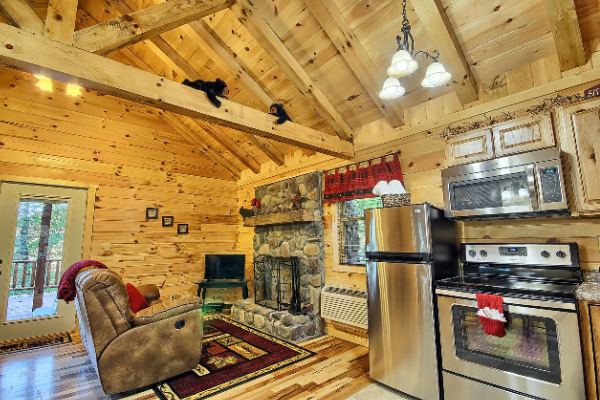 It is about 25 minutes from the caves and 15minutes for the other local attractions. 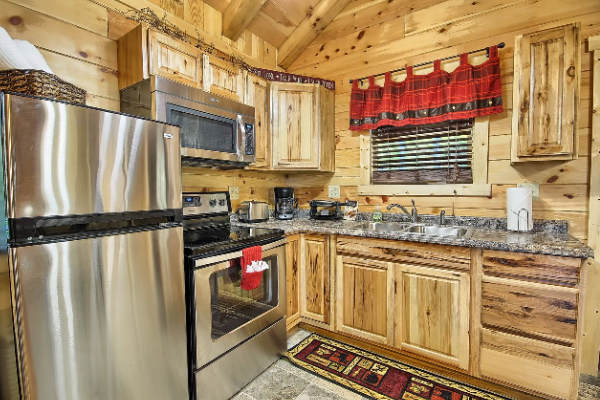 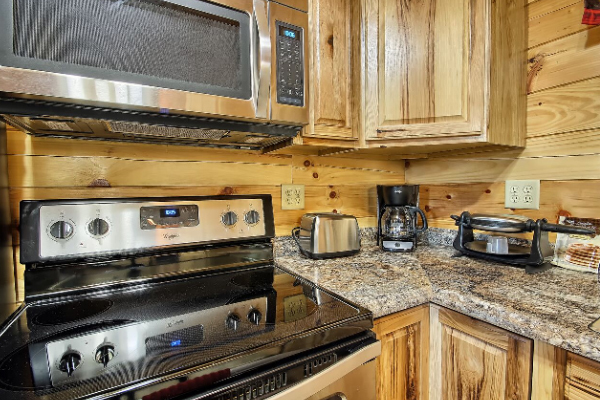 This cabin features a full kitchen with pots and pans, coffee maker, waffle maker, and everything you need to feel right at home. 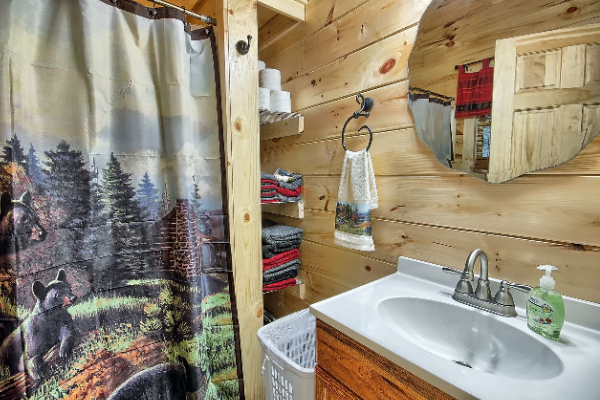 The bathroom has a tub/ shower. 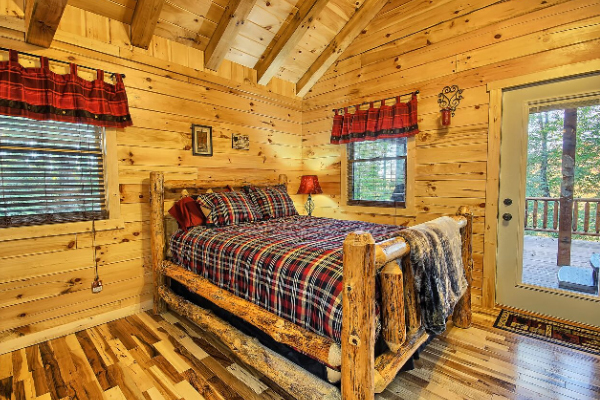 A gorgeous log bed is situated so that you can enjoy a warm fire in the wood burning fireplace. 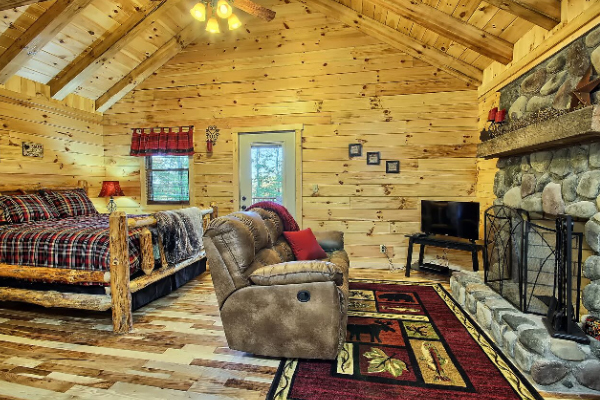 There is a dvd player so you can bring your own movies. 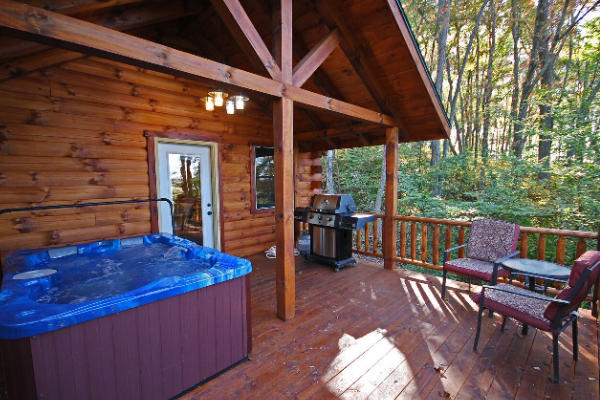 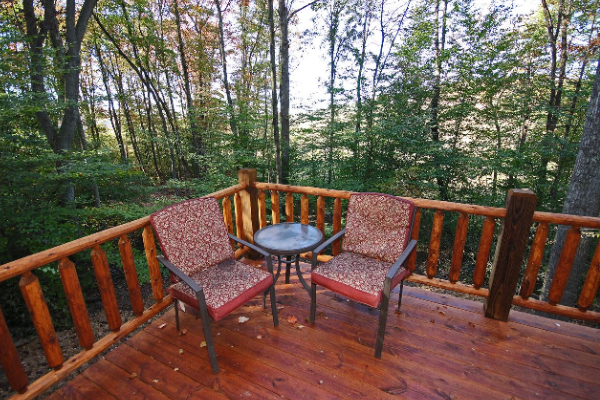 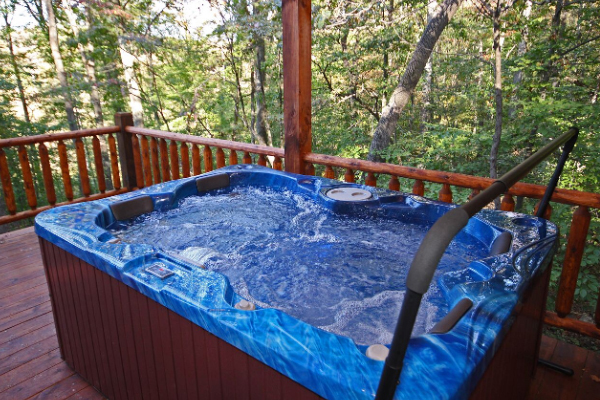 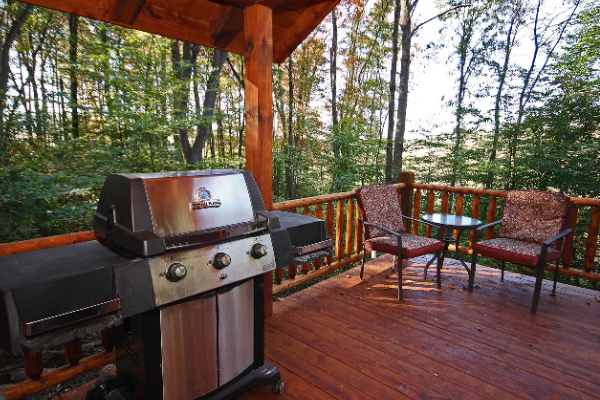 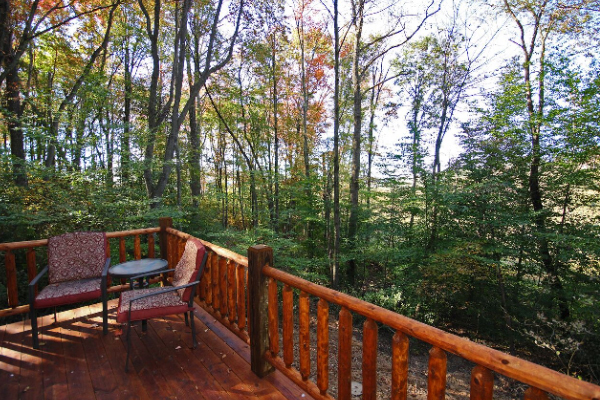 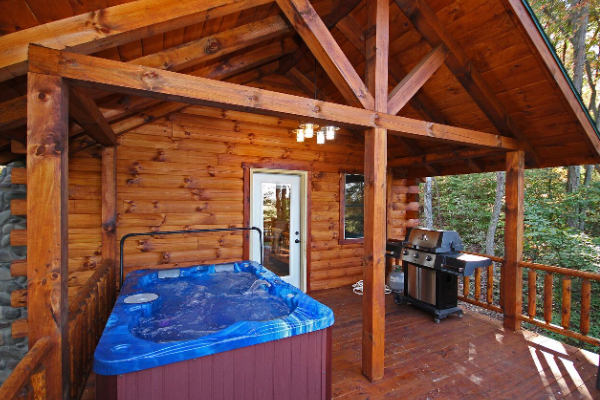 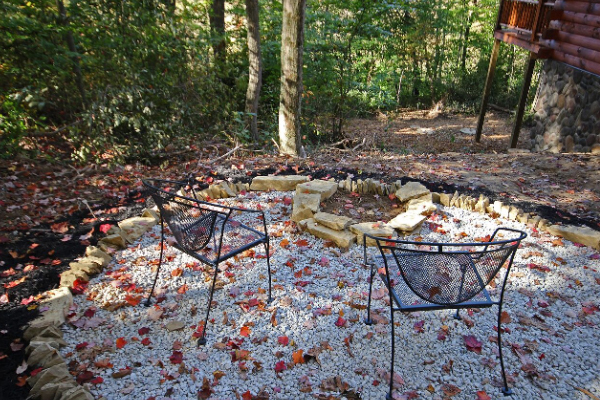 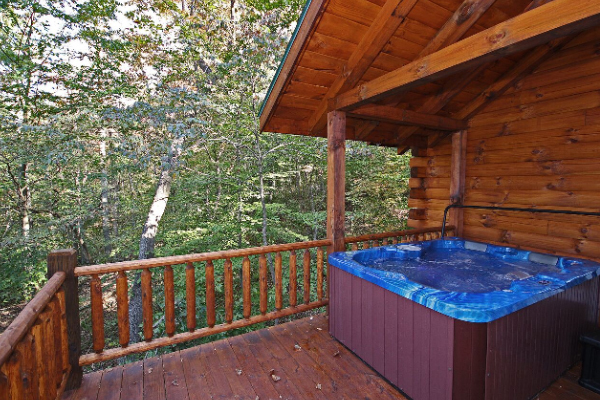 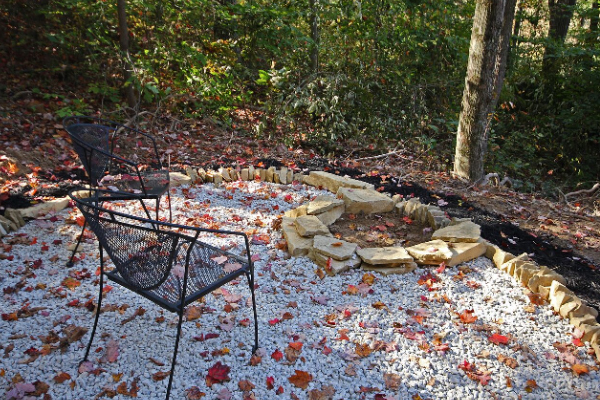 On the spacious back deck there is a hot tub to relax in after a long day of hiking. 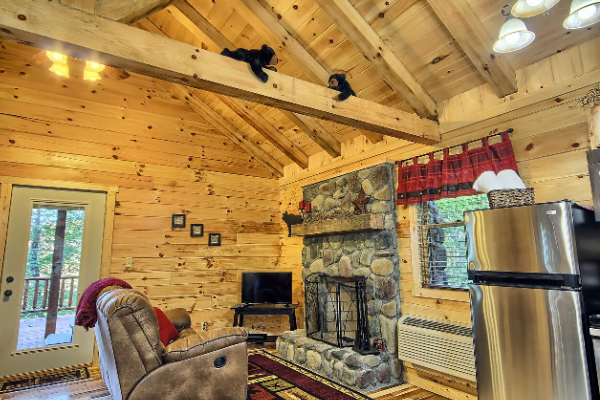 Whatever the occasion Bear Hugs is just right for you!.